I have lost 2.72% body fat and 6lbs of pure fat in just 4 weeks!!! Put 5…10…or 15 LBS. of Lean Muscle On Your Body! Without Injections, Creams, or Pills! Building an amazingly lean body! This group of men, who called themselves “bodybuilders,” spent countless hours doing “old school” lifting techniques developed by the legendary “Father of Fitness,” Jack LaLanne. Armed with fitness pulleys and weight contraptions, men were developing rock hard muscles, flat abs, and chiseled pecs--in a matter of months! Even Women Were Getting In On The Action! During the late 50s, “The Jack LaLanne Show” aired, getting women of all ages active and fit, using one-sided jumping jacks, marches in place, and leg lifts. Many Moms Were Seen With Legs In The Air Doing Breathless Bicycle Crunches! Each mom, wife, and single woman developed “lean, shapely muscles” that sped up their metabolism and helped them incinerate fat. The men wanted more. They wanted to cut the time spent exercising, but still get the rock hard physique you see from hours of grinding at the gym. They Developed A Drink To Do Just That! Their drink, a mix of soy flour and plenty of sweeteners (which created a bad tasting product) led to a massive revolution in fitness. What they made went down in history as the first protein shake. 10 years later, a “mad scientist” named Irvin Johnson, completely changed the face of protein supplementation. His creation—made of milk and eggs—produced such incredible results, the men who used it were gaining lean muscle in RECORD TIME. You Don’t Have To Be A Bodybuilder To Benefit From Protein! YES, men were seeing incredible gains in lean muscle mass—which caused protein powder production to skyrocket overnight. Anyone who exercised and wanted to see their body change, were including protein powder after a workout. Even children were drinking protein drinks when they needed to gain weight! Irvin’s creation led to such amazing results—people saw changes in their bodies that they never knew could happen. Two of the top fitness experts at the time, saw Irvin’s results and they wanted a piece of the action. They developed their own brand of protein powder—but their results fell flat (just like the muscles of people using their brands). They tested and tweaked their formula, but could never match the results Irvin got. Even though he was trying to replicate human breast milk, people started having negative reactions to both the egg and milk. Other more sophisticated products started flooding the market. Not one fit everyone’s need. Some were too chalky…some tasted downright disgusting…and some just didn’t give men the bulk they wanted or the women the sleek, calorie-burning muscle they desired. As time went on, and manufacturing techniques got better, new and improved formulas (like ours) have out-done the market. This means your body has NO CHOICE but to burn off unwanted belly fat—due to the metabolism-boosting (and very shapely) lean muscle you’re putting on. 1. 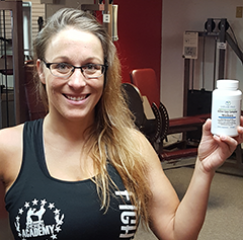 In order to change your body composition, according to Dr. Donald Layman, you need to have plenty of the amino acid leucine in your diet. Luckily for you, our high-quality protein powder is rich in leucine to help preserve lean, shapely muscle while promoting even more fat loss. 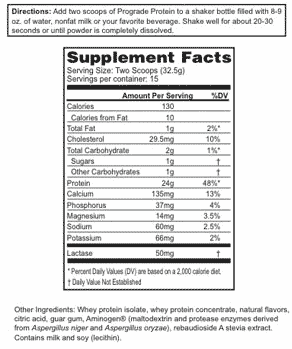 Whey protein naturally contains more leucine than milk, egg, and soy protein powders. 2. The protein helps stabilize blood sugar levels by slowing the absorption of glucose into the bloodstream. This, in turn, reduces hunger by lowering insulin levels and making it easier for your body to step up the fat burning. 3. Our whey protein contains bioactive compounds that keep your hunger at bay. 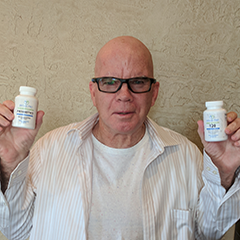 These compounds help your body release CCK and GLP-1, which are two powerful appetite-suppressing hormones. A new study shows whey protein left people feeling fuller (compared to casein and milk). This means our whey could control your appetite and lower your food intake in between meals. Haven’t Felt Great The Last 10 Years? JayLab Pro Protein Can Help! 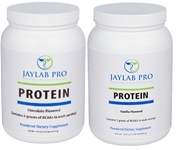 JayLab Pro Protein is going to work for you 24 hours a day, 7 days a week. This means you’re going to be looking—and feeling—your best as you slim down day after day. Telomeres in your cells start to get older and shrink due to oxidative stress and the aging process. Luckily, protein has an age-reversing compound that gives saggy, looking skin a natural “facelift.” Protein contains glutamate, glycine, and cysteine, which provide building blocks your body needs to build the age-defying antioxidant glutathione. Poor diets have been linked to faster aging, wrinkles, and pesky laugh lines that you are accustomed to seeing. The reason is due to too much advanced glycation end-products (AGE) that destroy collagen and break down elastin. A diet rich in protein may slow this process and bring a more youthful appearance. Literally, you could look 10 or 20 years younger just by including more protein. Visceral fat is a ticking time bomb for your health. This deadly fat causes inflammation and the rise of chronic diseases wherever it is hiding. To get rid of unwanted visceral (and body) fat, you need a red-hot metabolic rate. 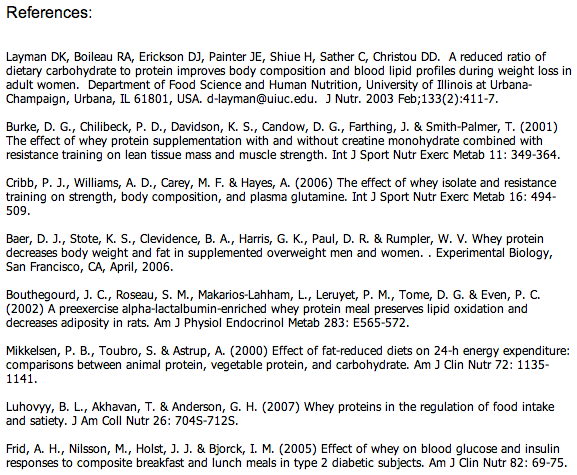 One way to get that is by increasing your protein intake. Studies show that people with a higher protein intake, had less visceral fat and people who regularly eat protein usually carry less visceral fat on their body. Your brain is a complex organ with many different hormones. One such hormone, serotonin, has been shown to improve mood, mental clarity, and overall well-being. Sometimes your serotonin levels are lower than they should be. Whey protein contains a specialized molecule, called Alpha-lactalbumin, which has been shown to reduce cortisol levels and boost the production of serotonin. As for energy, the more lean muscle mass you have on your body, the faster your metabolism may be. And with a speedier metabolism, you could process foods at a much faster rate—giving you an endless supply of energy to keep up with your daily demands. No Artificial Sweeteners - Jaylab Pro Protein does not contain artificial sweeteners such as aspartame- instead each batch is naturally sweetened with stevia. 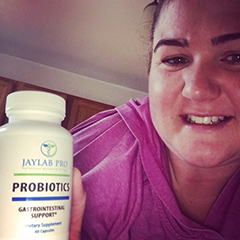 No Bloat, Feel Great – Unlike most protein powders which leave you bloated, constipated and with an upset stomach – Jaylab Pro Protein wields a double edged sword against digestive discomfort through its combination of lactase and Aminogen – working with your body to break down amino acids and sugars for superior absorption and digestion. Burn More Calories – Each serving of JayLab Pro Protein contains 24 grams of high quality metabolism boosting proteins. Mixes Instantly – Just add water and swirl with a spoon for a fast and creamy shake that you’ll look forward to each and every day. Call now or order online below to get Jaylab Pro Pharmaceutical Quality Whey Protein shipped to your door. Make sure to take advantage of the Smart Ship so you save over 21% - we’ll even pick up the shipping cost. Another reason is that it’s considered to be FREE. The money saved on food spent in just the first weeks pays for the product. The other weeks are just money saved while the "thermic effect of food" that Jaylab Pro Protein provides melts the fat away. This weight loss solution is NOT like any “diet pills” you see advertised. It is medically-proven all-natural powder that corrects your underlying physiological cause of excess body weight -- at the metabolic level. You'll love the fast results and the motivation it gives you – don’t be surprised if you lose 10 to 12 pounds in just the first few weeks like many people have! This is the last protein powder you will ever need. Imagine, you will soon lose pounds and inches fast ... with no hunger ... no side effects ... and no surgery! 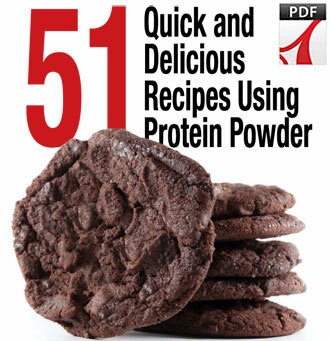 51 of the Best-Tasting, Guilt-Free, Protein-Packed, Fat-Burning Desserts, Snacks and Breakfast Recipes on the Planet! Finally – you never have to worry about what to have for breakfast. No more stressing out over a healthy “between” meal snack. Never deprive yourself from your favorite cookies, snacks, cakes and desserts. And say goodbye forever to the boredom of eating the same food over and over again. 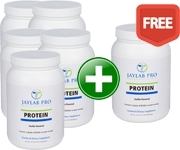 It is yours for today for FREE when you try any flavor of Jaylab Pro Protein. 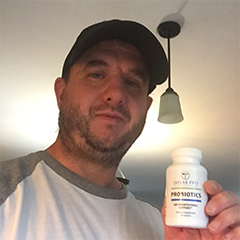 This product is only available from Jaylab Pro Nutrition, a company that tens of thousands of people worldwide have come to trust for their nutritional needs because of our professional grade supplements. 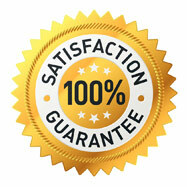 And you will be trying it 100% risk-free with the company’s famous Money-Back Guarantee. So even if you’ve tried another product before and were not thrilled with the results, don’t be discouraged because … your results from this product are guaranteed to be terrific! As you can tell, I’m very excited to bring you this news about how to lose weight for good much easier than ever before. I guarantee to send you a 100% refund if you aren’t thrilled with how much weight you lose, and how fast and easy it is! That’s right. I’m so confident you will be thrilled, all you have to do is return whatever product you have left anytime within 60 days and you will receive a full refund … no questions asked! I’ll send it to you within just days. No questions. No hassle. No fine print. I trust you. Right now, you do NOT need to say “Yes”. You only need to say a very easy “Maybe”. Make me prove to you – FREE of even a penny of risk. You are NOT BUYING, you are just TRYING, THEN seeing the results, THEN you will decide if you want a refund or not! Your quality of life and health depend on the action you take now. 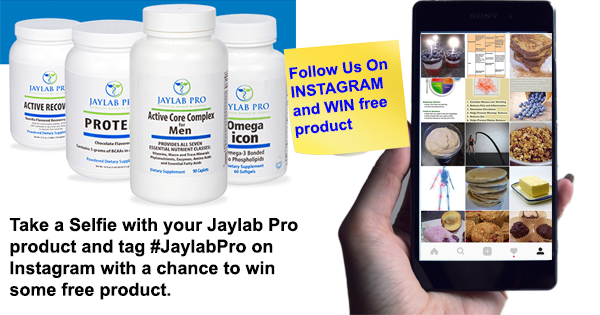 Every Jaylab Pro product come with a 60-day, 100% money-back guarantee. You've got nothing to lose (and everything to gain) by putting your trust in JayLab Pro! Or use our 100% secure online ordering system below. Secure Online Ordering Choose the option that is best for you. I Have Been Using Jaylab Pro For Over One Year Now! 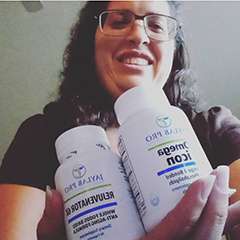 "I've been using Jaylab Pro products for over a year and can really tell they are working by the way I look and feel and doctor's reports. I'm 70 with multiple sclerosis and people are telling me constantly how good I look; how much energy I have! I have a full-time glass art business, so I'm busy too. And thank you, Jayson, for all your incredible ideas, research and recipes! You are all fantastic people and professionals at the same time!" 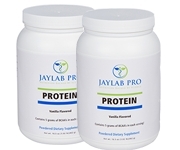 Jaylab Pro Protein - a shake that I drink without hesitation! 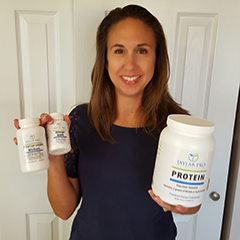 "I have battled my weight all of my life, so I do not have to tell you how many fitness/energy/weight loss shakes I have tried! When my trainer sent me the link for the JayLab Pro website, I cynically thought to myself – here is another drink that I will have to endure to gain the maximum results that I desire. I was shocked when I received the vanilla Protein; I REALLY enjoyed the taste and consistency of this drink. The serving size is one scoop mixed with 6oz to 8oz of water; it mixed easily with a spoon and it was not lumpy, thick or chalky like the other shakes I have encountered previously. 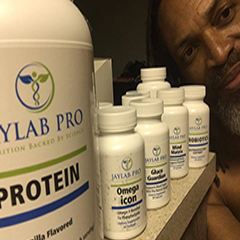 Jaylab Pro Protein will easily be a shake that I drink without hesitation and/or regret; this was money well spent." 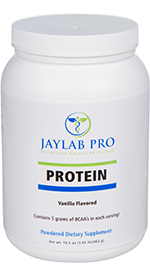 I just wanted to say that I LOVE the new Jaylab Pro Protein! "Just reading about it, I was convinced that it would be my protein powder of choice because of it being naturally sweetened, the BCAAs, and it being cold processed. But what I found even more amazing after I received my shipment of Jaylab Pro Protein is how easy it is to mix, and it TASTES GREAT! I feel better about my nutrition knowing that I can pack in a great quality protein that also adds more flavor to my food (I add it to oatmeal, Greek yogurt, etc.). 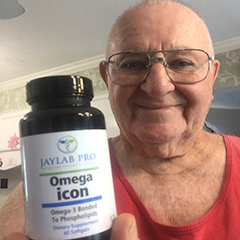 I think this is my new favorite Jaylab Pro product!" Protein Powder is sooooo good! "Jaylab Pro Protein Powder is sooooo good. I have had other protein powders that were chalky, clumpy and tasted really bad. 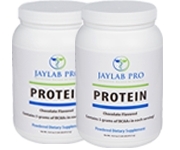 But Jaylab Pro Protein even smells delicious and the aftertaste is really yummy!" Love, Love, Love The Taste! 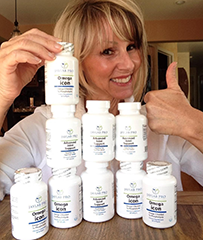 “I ordered EFA Icon last month and started taking it immediately. I also take the Longevity, the VGF 25+ and the Protein powder. I am slowly becoming addicted to your products and have lost 12 pounds over the last 2 weeks. I've of course included a healthy meal plan into all this and feel amazing!" 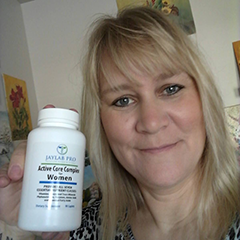 "My knee pain is gone and my energy level has gone up significantly. Your products are amazing!" I've Dropped 6 Pounds In Less Than 2 Weeks! 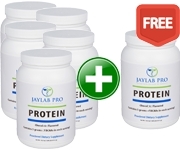 "I'm currently taking Jaylab Pro Protein on daily basis. It is so incredible how my appetite has shrunk so much! I eat 4-5 very small meals daily and I'm never hungry! I'm loving this! I've dropped 6 lbs ...in less than 2 weeks, my energy level is unusually high and I finally got myself on a solid exercise routine. I love you guys and I love your products and all the good advice!" *We don't know if you will experience the same or similar results as these JayLab Pro customers. Your experiences may not be as positive. To read about customs laws and international shipping please click this link and check out "International Information"
Free Shipping for all smart ship USA and Canada orders, regardless of order size!! !